The city of Regina is changing, growing and Regina Public Schools is changing, as well, to meet the needs of all students. Access to Campus Regina Public course for all Grades 11 and 12 students, no matter what high school they attend. Read the Executive Summary HERE for the High School Attendance Strategy and Intervention Plan. For more information, please contact your high school principal. High school program offerings tend to be driven by how many students attend a school – more students, more options. For schools with lower enrolments, that means certain program offerings that are available at schools with larger enrolments might not be available. Regina Public Schools believes that all students should have equitable opportunities, regardless of where they live or go to high school and is committed to increasing access to programming for all students at their neighbourhood high school. After years of declining enrolment, projections are that, like the growth in the city, growth is also occurring in high schools. The high school strategy is created to ensure that these students can go to high schools that not only have the programs they seek, but that also have the room for them to learn, grow and succeed! 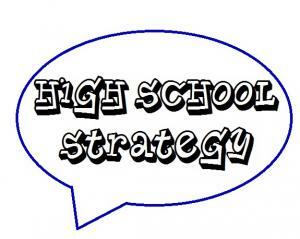 What does the Family of Schools and high school strategy mean to you? 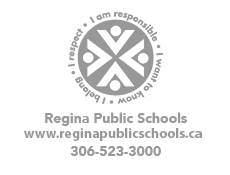 Regina Public School families will need to be aware of the elementary and high school boundaries. For a complete boundary directory, click here. Elementary schools will align with their neighbourhood schools. This means that elementary schools will have a designated high school. Where a student goes to high school will be determined by that student's home address. Click here for chart. There are some exceptions relating to parents requesting schools that are not the designated neighbourhood high school. Read more here. Please follow this link to go directly to high school registration information.